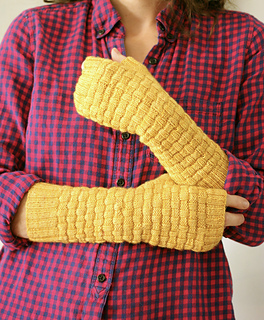 Women’s medium - 6” wrist circumference, unstretched - mitt is quite stretchy and will fit a variety of wrists comfortably. 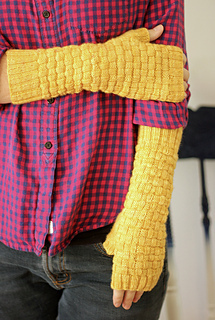 As knitters we wait with bated breath for the arrival of fall and the return to a life full of warm, wooly goodness! The first hint of chill is upon us and though it’s not quite cool enough to pull out my full blown winter gear I’m desperate to wear wool again and these fingerless mitts are just the thing to keep me happy during these transitional weeks.